Renjie Zhou (Bioimaging), April Colette (Social Dimensions of Environmental Policy), and Pauline Baniqued (Cognitive Neuroscience) will present on March 12 at noon in Beckman room 1005 as part of the Graduate Student Seminars. Lunch will be served. Recently, the semiconductor industry has shrunk their critical dimension down to 22 nm. Thus, detecting defects in a 22 nm node wafer has become critical. Optical inspection methods are non-destructive and have high throughput, which are suitable for in-line wafer defect inspection. 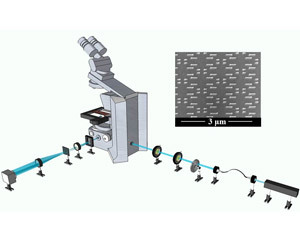 Over the past years, we have developed a defect inspection system based on an epi-illumination diffraction phase microscopy (epi-DPM). This system uses a 532 nm laser common-path Mach-Zehnder interferometer, which results in fast image collection and immunity to vibrational noise. The system measures an interferogram, which is used to retrieve both the amplitude and phase of the scattered field from the wafer. To detect sub-wavelength defects in the wafer, we further reduce the residual noise in the images by using an image post-processing technique called 2DISC. Our results show that we can reliably detect defects down to 20 nm × 100 nm in a 22 nm node wafer. Most recently, we moved forward to 9 nm node wafer defect inspection, which is a very challenging problem. We added new detection modalities such as 3D scanning and dark-field filtering, and the preliminary results have been very promising for breaking the detection limit. Critical scholarship on vulnerability in the face of climate-related change has led to the development of indicators and methods for its measurement, emphasizing biophysical elements to assess exposure, evaluate impacts, and analyze risks. Yet, there is still much to learn about how people exposed to climate stresses understand the causes of vulnerability. Asking why and how people understand themselves to be at risk is important to sensitize scholars to the ways in which the concept of vulnerability frames and shapes the effects of socio-political processes and climatic events in history, like floods. Responding to the challenge, this paper seeks to locate the point where, in practice, political preference, personal conviction, or geographic location shape people’s accounts of what vulnerability means and what they do about it. 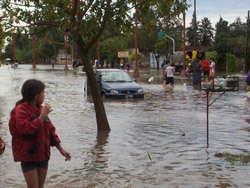 Drawing on interview data from four neighborhoods in Santa Fe, Argentina—a city with a long history of flooding—I explore how the concept of vulnerability is conceptualized, framed, and understood by citizens. 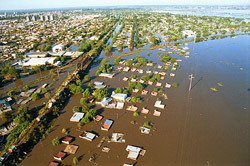 By examining different neighborhoods’ experiences of flooding, socio-economic standing, political organization, and historical founding, I analyze how different places, experiences, statuses, and interactions with the state and its agents shape citizens’ vulnerability, the capacities to recover, and the abilities to access resources. I argue these understandings influence policy and practice and, in particular, have important implications for the ways in which citizens respond to climate hazards. Control demanding situations, such as task switching, rely on communication among regions of the frontoparietal network, areas which undergo significant age-related decline. Here, we integrate data from brain structure, event-related potentials, and event-related optical signals to better characterize the neural dynamics of preparatory control. We analyze connectivity using lagged cross-correlations that not only show synchronous activity between brain regions, but importantly, how these functional interactions evolve over time. We find that connectivity between frontal control and sensorimotor regions is critical to controlling attention; results show distinct frontal-dependent networks based on task demands, with activity in frontal cortex predicting downregulation in task-irrelevant sensorimotor areas, followed by upregulation in task-relevant regions. New findings in older adults underscore the synergistic effect of white matter structure and functional network interactions: the degree to which older participants overcame the cost of switching and activated task-relevant processes was predicted by corpus callosum volume, the main connection between the frontal cortices. Our results suggest that structural disconnection and thus weaker interactive control dynamics lead to sub-optimal preparation strategies, but also that interventions that target the health of frontoparietal regions such as the corpus callosum may attenuate age-related cognitive decline.